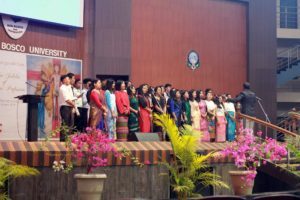 The University’s founding Vice Chancellor Fr. 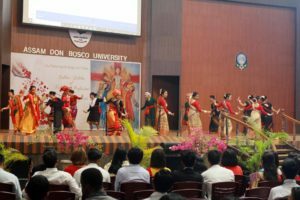 Dr Stephen Mavely on 2nd March 2019 completed 50 years of his religious profession, which marks the beginning of his journey as an educator who dedicates his life to educate, teach and learn with the young and the youth as a follower of St. John Bosco (popularly known as Don Bosco). A short felicitation ceremony was organized by the University at the Atrium of Academic Block II at Tapesia Campus. 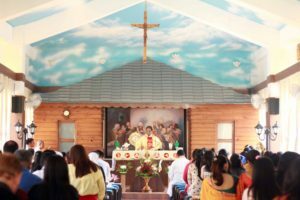 Born on 20th November 1950 to Joseph Mavely and Theresa Edassery in Irinjalakuda, Kerala, he joined Seminary in Shillong and graduated from Salesian College, Sonada and then studied Theology at Sacred Heart College Shillong from 1977-79. 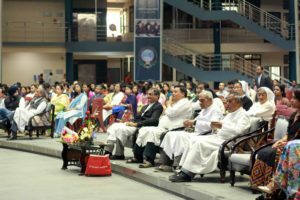 After his ordination in 1979, he served as a Principal of Don Bosco School, Shillong from 1981-1986 and then went on become the Principal of St.Anthony’s College Shillong in 1986 till he left for United States for Doctoral studies in 2002. 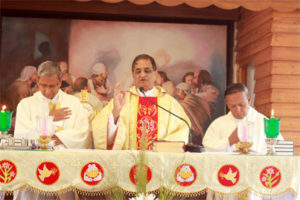 During his tenure as a Principal of St. Anthony’s College, he won for the college the singular distinction of being the first to be accredited in Eastern India and the first to be awarded the highest ‘Five Star’ status by the National Assessment and Accreditation Council of India (NAAC). 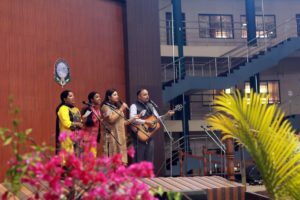 After receiving his PhD from California Coast University & Brown University, he came back to India and served as the Principal of Don Bosco College, Guwahati. 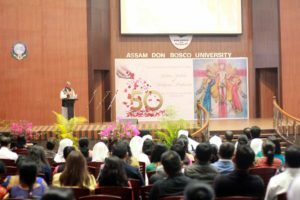 While serving as the Principal of Don Bosco College, Guwahati, he was entrusted with the task of establishing the first Don Bosco University in India. 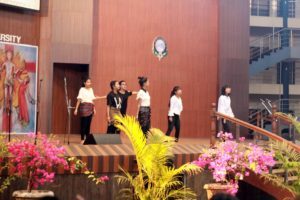 He played a pivotal role in the conceptualisation and planning of the University, and continues to steer its development as it seeks to create for itself a unique niche among national and international institutions of higher education. 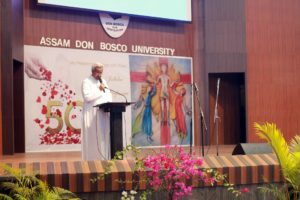 Fr (Dr) Stephen Mavely became the first Vice Chancellor (President) of Assam Don Bosco University in 2008 and continues to serve in this capacity till date. The Don Bosco University family and friends wishes him abundant blessings and joy in the years to come.